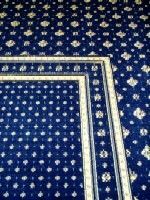 A carefully selected carpet cushion helps absorb the shock from foot traffic, cutting the force on the flooring by one half, thus preventing carpet fibers from matting and crushing. 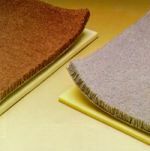 A key benefit of quality carpet padding is that it prevents the loss of carpet height. This means your carpet will stay looking fresh and new longer. Keep in mind that a dark carpet may not be the best choice for your white-haired, four-legged friend. Comfort should also be a consideration, in fact, the American Pet Association found that more than seven million dogs spend their nights on the floor. Sometimes good dogs do bad things to carpet. But don't worry, a quick patch and the floor is as good as new and your best friend's out of the doghouse. 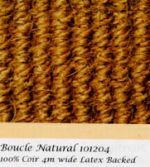 Natural, Wool, Sisal, Synthetic Fibers, Polypropylene or Olefin - This section explains all of the different types of carpet fibers and styles.